HE'S A HOLLYWOOD SUPERSTAR . . . A CONTROVERSIAL FILM DIRECTOR . . . ONE OF THE SEXIEST MEN ALIVE (AT LEAST ACCORDING TO PEOPLE MAGAZINE) . 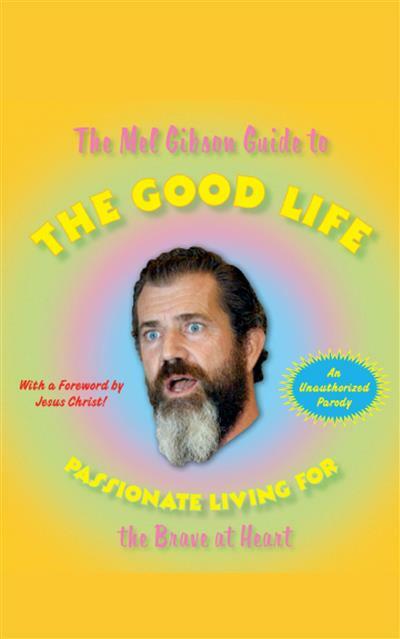 . . AND NOW MEL GIBSON WANTS TO HELP YOU BE ALL YOU CAN BE! When Mel Gibson wakes up in jail after being arrested for DUI, he doesn't quite ... read full description below. Andrew Morton is one of the world's best-known biographers and a leading authority on modern celebrity and royalty. His groundbreaking 1992 biography of Diana, Princess of Wales-written with her full, though then secret, cooperation-changed the way the world looked at the British royal family. Since then, he has gone on to write New York Times and Sunday Times (UK) bestsellers on Monica Lewinsky, Madonna, David and Victoria Beckham, Tom Cruise, Angelina Jolie, and the Duke and Duchess of Cambridge. The winner of numerous awards, he divides his time between London and Los Angeles.